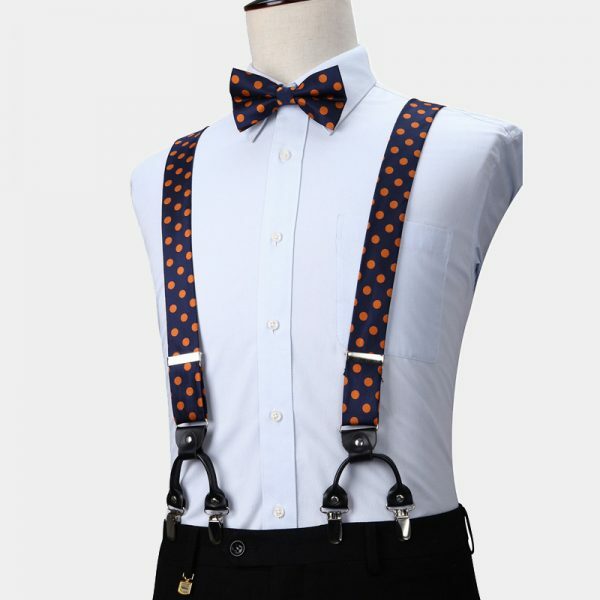 This gentleman’s orange polka dot bow tie and suspenders set adds a pop of color and style to your accessory collection. 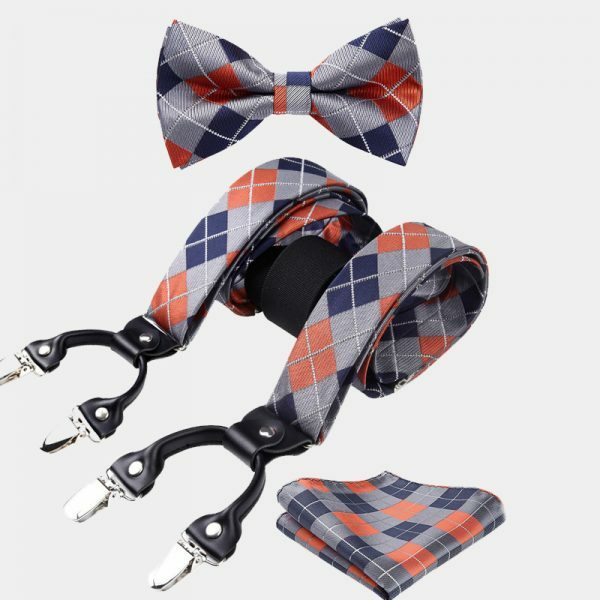 The orange and navy blue colors create a classic combination that pairs well with your business and casual attire. 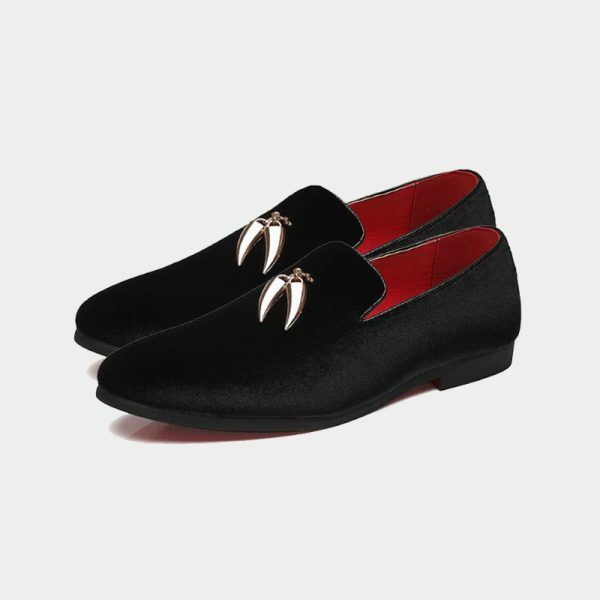 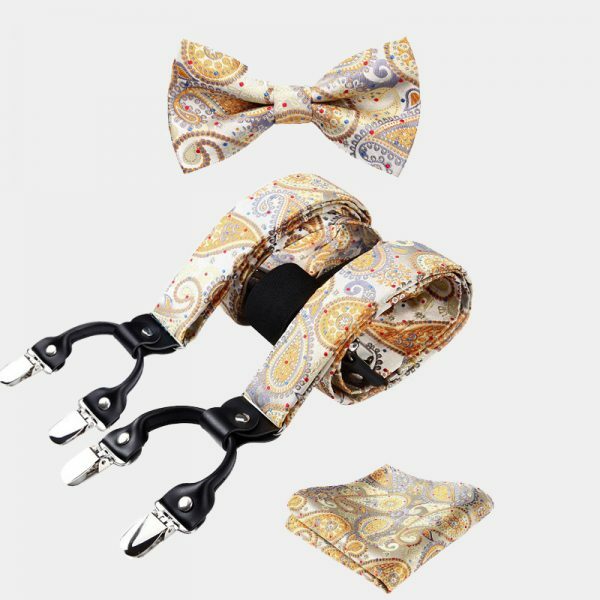 In addition, it also makes a unique alternative accessory for your special occasion or formal wear. 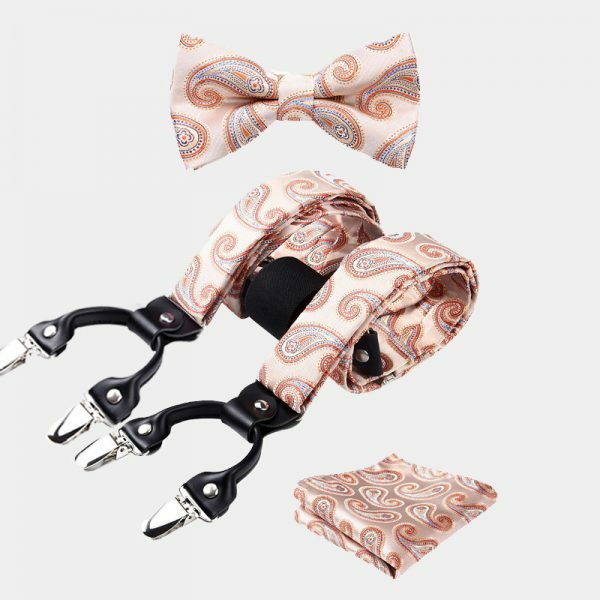 Wear the items in this set separately or together. 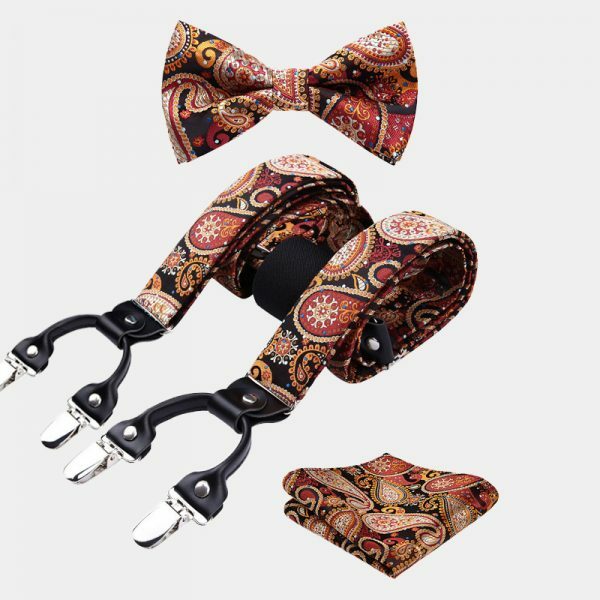 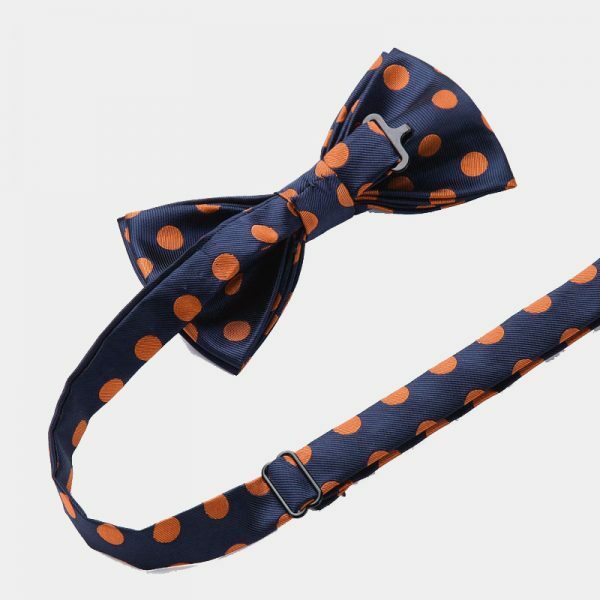 Either way, this orange polka dot bow tie and suspenders set looks amazing and helps to stretch your wardrobe budget. 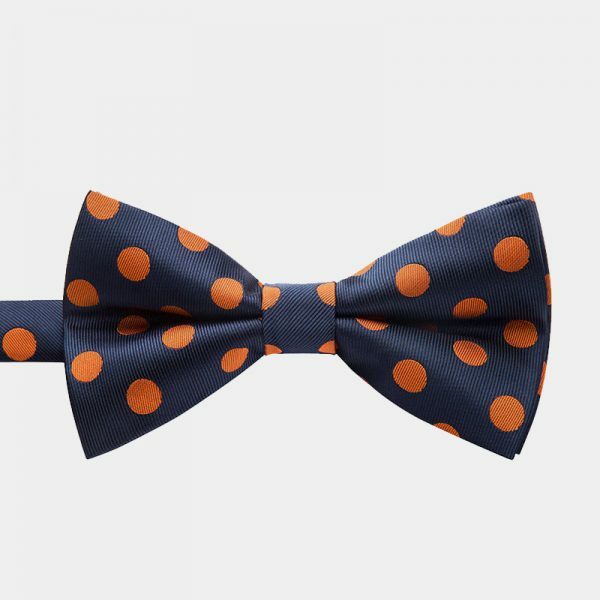 The high-quality navy colored material has an orange dotted pattern that adds visual interest to your attire. The beautiful and detailed handcrafting of these orange polka dot bow tie and suspenders results in a set you will be delighted to own. 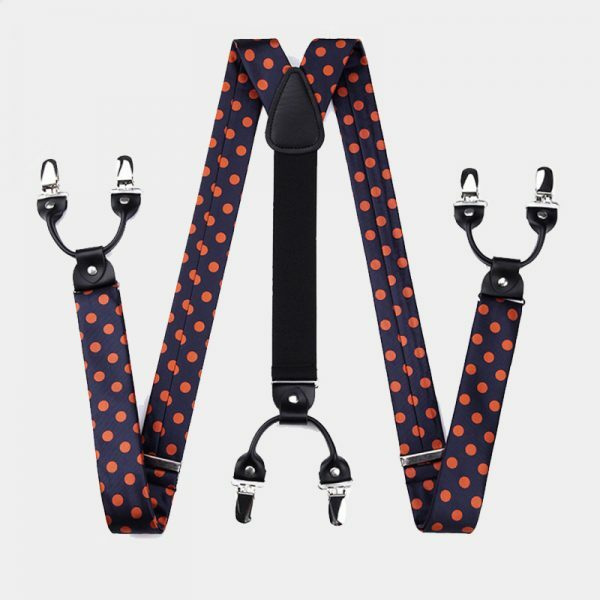 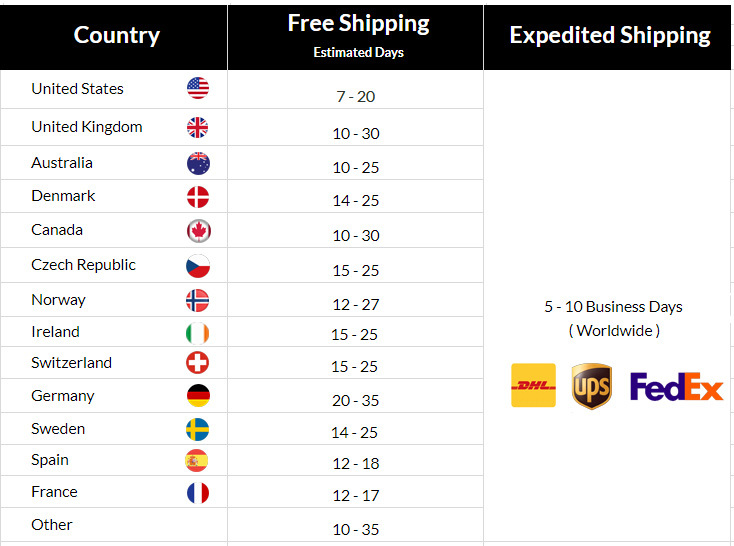 The easily adjustable suspenders are durable, comfortable and have non-slip clips that keep your pants secure. 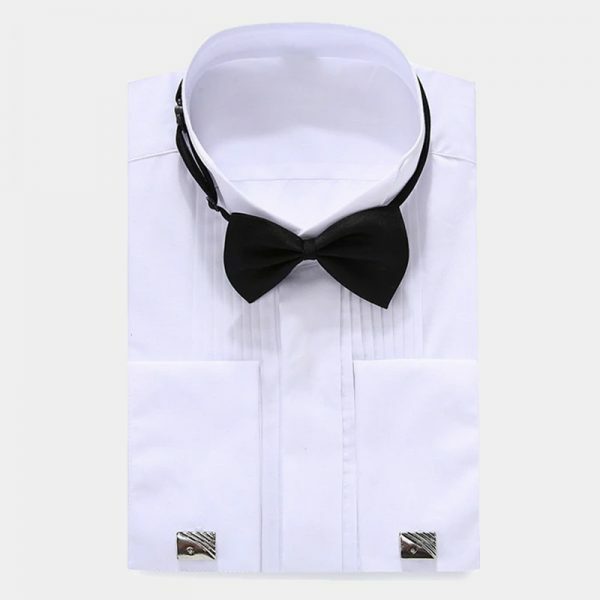 The nifty pre-tied bow tie is simple and easy to use. It is also fully adjustable which makes it a great no-fuss accessory. 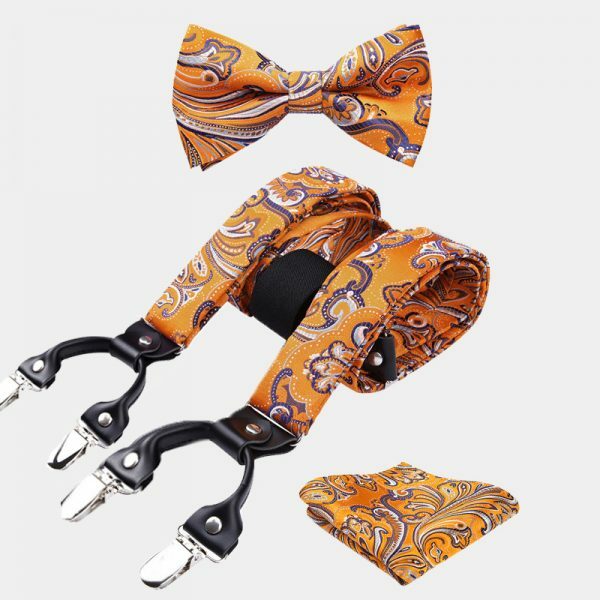 In addition to these items, a matching orange polka dot pocket square is included with this great set.